Ayos ang 6 years! congrats Oman, may your blog have many more birthdays to come! hehe. You kept your blog alive??? Congratulations. May you have 66 more years for blogging. one of the most important phrases I learned from a fellow travel blogger. Kudos and may your 2012 is as fruitful as the years that has passed. 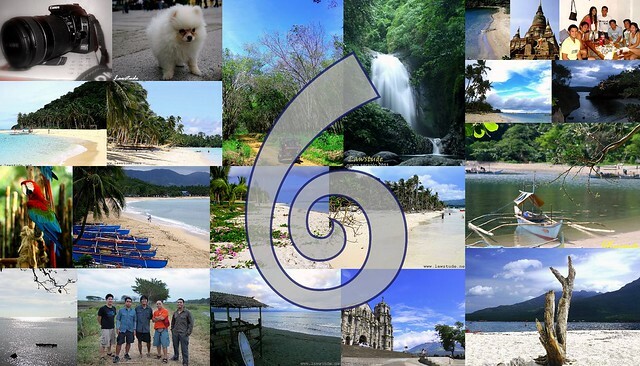 Congratulation on your 6th Anniversary and more travels to come. Congratulation Lawstude. May you have many more blogging years ahead of you. Happy 6th anniversary. More power to you. Keep it up. Cheers to Six More Years and beyond of sharing your cherished stories. Happy anniversary sa blog mo and many more blog posts to come.